Recruiting the four Horsemen of Neo-atheism into Cavalry of Islam – For Christians, To be Born Again in Islam! First something about the big picture, the Christian apologists want to make a case for Christianity based on laws of nature and science, by showing that there ought to be a Transcendent Creator of our universe. They make this case, in one breath, and in the very next, deny all of science, by insisting on Eucharist, man-God of Jesus, who is not Transcendent, resurrection and miracles that violate laws of nature. In a trilateral discussion between atheists, Christians and Muslims, I believe we can appreciate reality better and come up with better theology, especially if the discussion not only involves the Creator and purpose of the universe, but, also His complete Transcendence, Original Sin and evolution of life on our planet, Trinity and Eucharist. 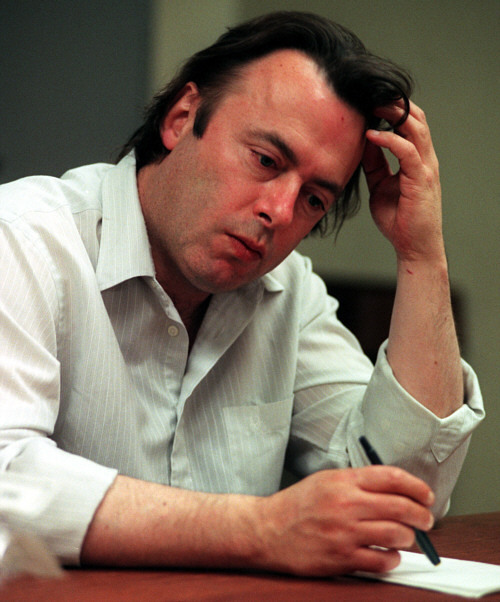 One of my horsemen, Christopher Hitchens died on December 15, 2011. My condolences to his family and friends. From here on any blunt reference by me to my four horsemen should be considered to the surviving three. Four Horsemen of the Apocalypse, an 1887 painting by Victor Vasnetsov. Christopher Hitchens, Prof. Daniel Dennett, Sam Harris and Prof. Richard Dawkins have been called the four horsemen of neo-atheism. That is old news. The latest is that I have just recruited them as volunteers for army of Islam; they form my meager cavalry, which will establish the philosophical superiority of Islam over Christianity. They will work hard for every day of their God given life, for the cause of Islam, without any worldly compensation from me. It is not politically correct to condemn Deism, after all it was the religion of the Founding Fathers of USA and of the celebrated Albert Einstein. 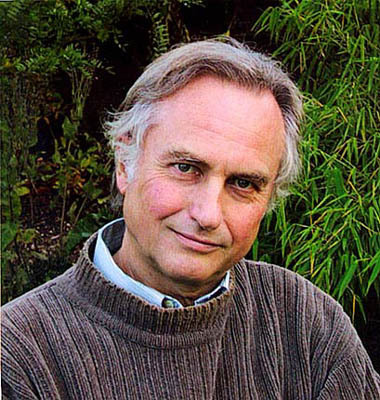 In God Delusion, one of my horsemen, Prof. Richard Dawkins applauds the religion of Einstein and in a debate with Prof. John Lennox, says that a plausible case could be made for a Deist’s God. But, when it comes to Theism of Christianity and Islam, my horsemen use a broad brush and condemn both equally, without realizing that Islam is much closer to Deism than Christianity. I have examined this in one of my articles, Islamic theology starts with Deism: Why all Christians and atheists should be Muslims? My horsemen pick up weaknesses in Christianity and without evidence or knowledge attribute them to Islam also, purely on ideological grounds. Even when their criticism of Islam is correct, it usually applies only to the Muslims of a particular sect and only exposes their ignorance and their lack of rigorous scholarship about different schools and sects of Islam. Never mind atheism, even Deism does not have a chance of winning ideology battles. My horsemen do not fully appreciate the human psychological need for consolation. They can use belittling labels for this need or vulnerability but they cannot wish it away. This is addressed in an article, Longing for consolation: A Dilemma for Dawkins! President Thomas Jefferson predicted victory of Deism over Trinitarian Christianity two centuries ago but his predictions did not come true! Why? I believe it was precisely due to human need to be consoled and only a Personal God can offer that platform. Additionally, it also stemmed from basic human craving to associate with fellow humans as equals, in rather democratic institutions like mosques and churches. 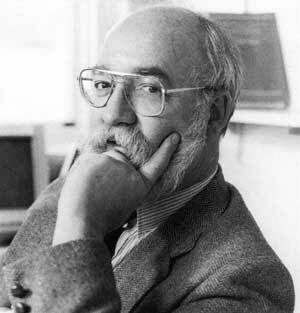 This fact Daniel Dennett acknowledges himself in one of his other lectures. The masses are not served by worshiping a few intellectual elites, who preach atheism for sake of their personal egos. This collection is an invitation to atheists to consider the distinct possibility that they may have to live with some form of theism for centuries to come. So, why do not they spend some of their time and scholarship, in trying to tease out different forms of theism and get to have a say in what form of theism, they may end up sharing the planet with. After all, according to a recent survey only ten percent of Americans are satisfied with atheistic explanation of life on our planet. If the approval rating of a political candidate was 10%, we will not honor him or her with a second look! I have a very simple, yet elegant perspective, which is that a genuine study of atheism and Christianity proves Islam! It may seem an extraordinary claim to some, but it is true and I am willing to provide extraordinary evidence to establish the claim. My 400 articles and different collections here and related websites, substantiate my claim from one angle or the other. I want to thank both my cavalry and my Christian sources for making my life so easy! My work would not have been possible before the internet revolution, so thanks to everyone, who contributed to this effort in one form or the other. And above all thanks to Allah for giving me and my horsemen this opportunity! Now, as I discuss their work individually, let me drop my analogy of horsemen and cavalry and treat them with the fullest respect that they deserve for their excellent scholarship. I thank them for the wonderful contributions they have made, in helping me, articulate my ideas and thoughts. Let me continue on a note of agreement with Prof. Daniel Dennett of Tuft’s University. I fully agree with his proposal to teach all religions in a neutral manner in all public schools, just the facts about them without arguing about their truth or lack there of. In the following talk, however, he predicts a grand future for atheism, towards the end of the video, half jokingly suggests that the Vatican may become the European museum of Catholicism in decades to come and Kaaba may become Disney magic kingdom of Allah. God Forbid! I would say it is false hope on his part, an opiate, not for the masses but for the so called intellectual elite, I won’t go so far to suggest that it is an atheist’s delusion as he may change his opinion, he certainly seems very open to logic and reason. Different articles in this collection are meant to show different aspects of religion and atheism and my simple, yet elegant premise that if a smart Muslim moderator manages, an open and honest Christianity versus atheism dialogue, Islam gets an easy and clear victory, even without any significant advocacy. All the reasonable observations that Prof. Daniel Dennett makes in this lecture, are our own, for the Holy Prophet Muhammad, may peace be on him advised, “The word of wisdom is the lost property of a Muslim, so that wherever he finds it, he should take it, as he is the most entitled to it.” Wherever, Dennett has astrayed and made unreasonable criticism of Theism, a Christian apologist, Denish D’souza helps me out for suitable refutation. In a debate between D’souza and Dennett, in Tuft’s University, a part of that debated is included below, the weaknesses of some of Dennnett’s arguments are successfully exposed by D’souza and the discomfort of our brave horseman is visible in the recording after his opening statement, when he was fully comfortable. It seems that the comfortable had been afflicted when he comes back for his second round after his opening statement, in his home-ground of Tuft’s University. However, when D’souza preaches resurrection and Christian style miracles, he is denying well established science, a vulnerability not shared by Islam, as understood by the Ahmadiyya Muslim Community. 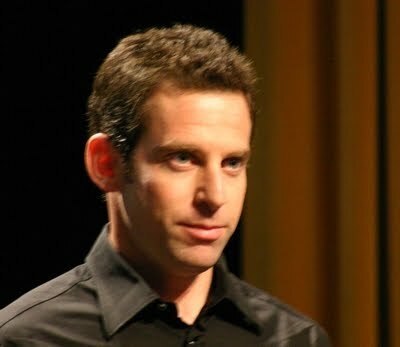 To give some credit to Sam Harris, most of what he said in this debate about Christian dogma or doctrine was true. I accept all of that as my evidence to demonstrate that Islam has better theology and teachings than Christianity. As regards some of the other claims by Sam, in an attempt to link religion especially Islam with terrorism, I would suggest that in this very debate, Robert Wright nicely pushed back Harris’ loud rhetoric to just superficially link religion with terrorism, by the force of repeated propaganda. I also have a collection on Islamophobia and another one titled, Religion, Politics and Human Rights! With the dissolution of the website, Google-knol, I have lost the links between scores of my different articles. So, please bear with me as I recreate them here over time. My thesis is very simple, my horsemen, recently recruited in the cavalry of Islam, try to obfuscate one aspect of the truth and the Christian apologists obfuscate a different aspect of the truth. If you hang around long enough in the neighborhood of my articles in the Muslim Times, you will know the truth and the truth shall set you free. Think of the sum total of the Muslim and the Christian theology as A + B. ‘A’ is true and is common between Islam and Christianity. ‘B’ is simply false and make belief and consists of Christian dogma or doctrine that are unique to Christianity. My horsemen nicely expose ‘B,’ but at the same time they try to obfuscate ‘A.’ The Christian apologists nicely present ‘A,’ but when it comes to ‘B,’ they dance around the bush or obfuscate it. God said, let there be light and there was internet and the Muslim Times and Islam for the West! May God give all of us wisdom! Amen. The Forty Gems of Beauty. Daniel C. Dennett on What Should Replace Religions?